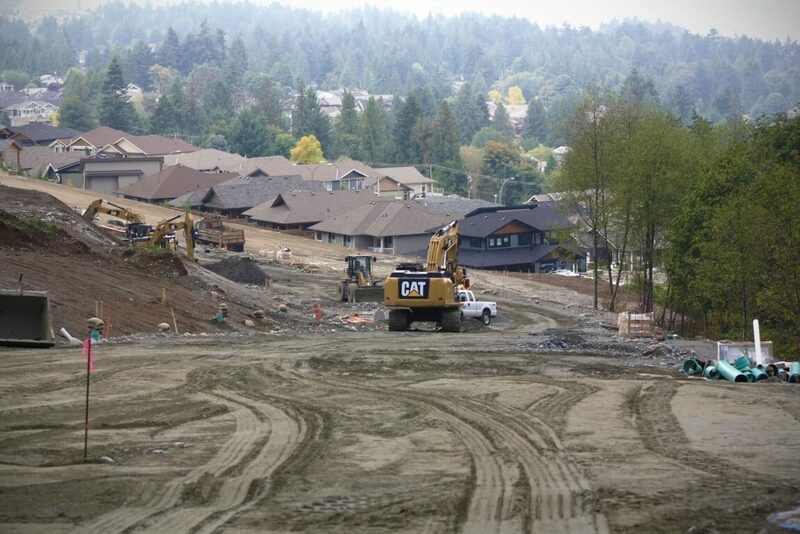 Windley Contracting Ltd. is constructing Phase 4 of Oceanview Terrace, a nine 24 lot development on the hillside overlooking Hammond Bay Road in Nanaimo. The site requires 36,000 m3 of excavation to construct the roadway and grade the lots to city standards. Construction includes two retaining walls, a 60m Allan block wall, 130m MSE earth wall, complete underground services, and extensive landscaping.